Gripsweat - NORTHERN SOUL 45RPM - THE EMBERS ON ATLANTIC - RARE PROMO! 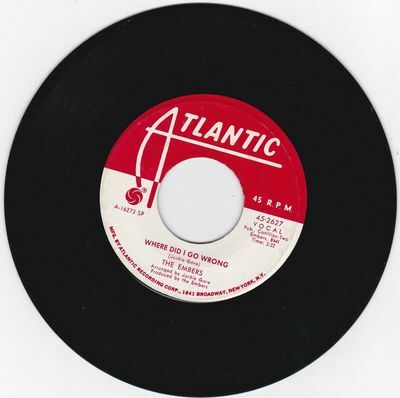 NORTHERN SOUL 45RPM - THE EMBERS ON ATLANTIC - RARE PROMO! *FOREIGN (NON-DOMESTIC) TRANSACTIONS WITH A TOTAL OF $200 OR MORE WILL NEED EXPRESS SHIPPING WITH A TRACTION NUMBER - POST OFFICE CHARGES ARE $60 DOLLARS U.S.
$1.00 EACH ADDITIONAL RECORD PER AUCTION, WHETHER DOMESTIC OR INTERNATIONAL. *INTERNATIONAL ORDERS OVER $200.00 WILL STILL INCUR A CHARGE OF $60.00 FOR EXPRESS SHIPPING WITH TRACKING NUMBER; HOWEVER, NO ADDITIONAL SHIPPING CHARGES INCURRED FOR THESE ORDERS FOR UP TO 5 RECORDS.